“I’m not a reader.” I hear this multiple times during my first weeks of conferencing. The non-readers are easily identifiable; their body language alone speaks volumes of their disdain for books. “You just haven’t found the right book,” I tell them, and they smirk, knowing they’ve heard that statement before. The first week of school is a vital week of matching students with books, and while I itch to recommend titles, I hold back, giving my freshmen the independence and freedom they so desperately crave in high school. Too often students blindly accept recommendations without so much as a thought to the contents. They lack self-awareness when it comes to their reading interests or style, which is why those first two weeks are essential to not only organizing but also empowering them through choice. 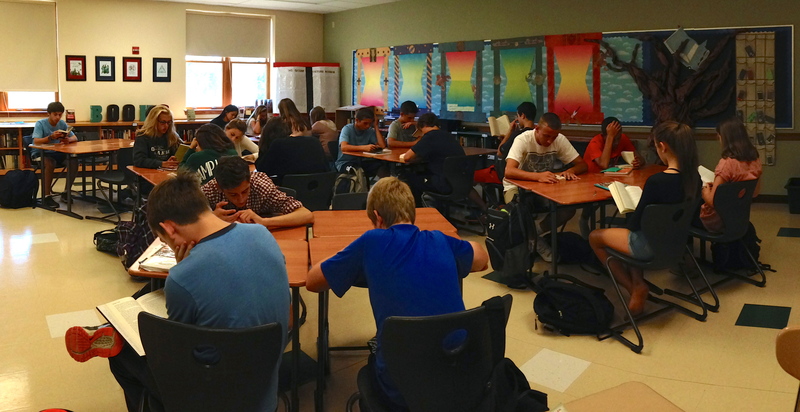 Throughout the week, I book talk popular titles, engage in “speed dating” with books, and provide ample free time for students to explore our classroom library, but I also get out of their way. Instead of telling them what to read, I model ways to find a strong candidate, considering reviews, awards, contents, genres, and summaries. While the majority of the class tends to quickly settle into their books, there are always stragglers who remain convinced they’ll never enjoy reading. 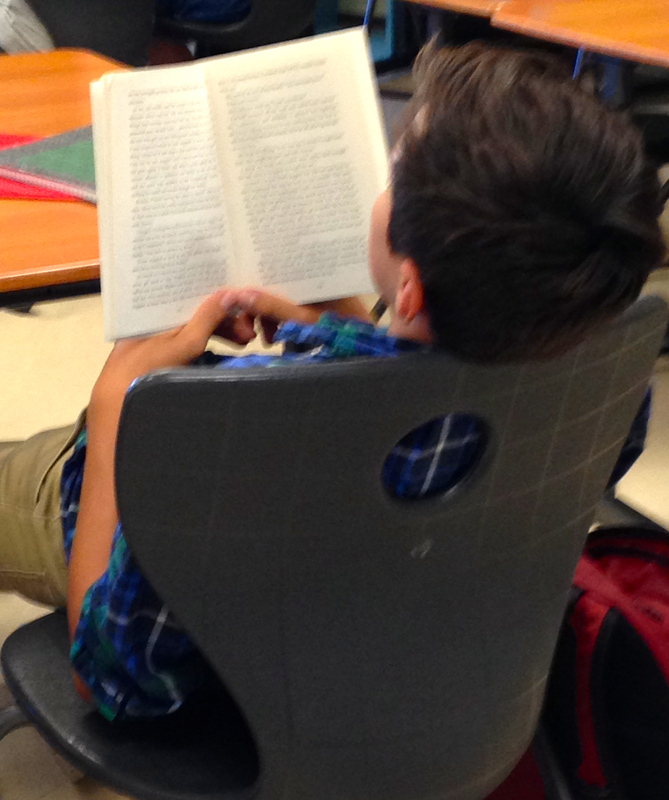 These students sometimes grab the first book they see off the shelf, and oftentimes these books are too dense, difficult, or in some cases “boring.” That is okay! I settle into conferences with these students, getting to know their hobbies and eventually handing them two or three books that might pique their interest. In the end, they still choose what to read, but in the process they might require some initial guidance. Regardless of who picks the book, the end result remains the same—to find a plot that envelops and consumes students, forcing them into the story. Here are some of my number one titles that tend to break down the shell of even the most reluctant readers. Adrian initially picked a sequel to a book he read last year. “You must have liked the first one then?” I asked. “Not really,” he replied. “I just didn’t know what else to read.” The next day he picked up The Compound, which is full of the fast-paced suspense he craves. Paper Towns and Looking for Alaska…and basically everything by John Green. I book talked Unwind second this year. It’s a given crowd pleaser because of its twisted plot and graphic scenes. The fact that I only have one copy of my four originals is a testament to its popularity. What books do you recommend for reluctant readers? Which titles are most popular in your classroom? Ready Player One, Unwind, and The Perks of Being a Wallflower are all good ones for most of my reluctant kids too! Some of my other books that the reluctant readers have been getting into this year are Boy Nobody (I Am the Weapon), American Sniper, Last Survivor, The Testing, the Percy Jackson series, We Were Liars, and Rats Saw God. I’m also glad to know that I’m not the only one who has kids who insist, “I do NOT like to read, I HATE books,” and then promptly sit down and get completely obsessed with the book they’re reading! Yes, my kids love American Sniper, Last Survivor, and We Were Liars too. It’s funny–we all run into them at the beginning of the year, but I love being able to sort through books with them and introduce them to possibilities. Thanks for the titles! Can’t wait to add some of these to my list of books to buy. Two other titles that turned non-readers into readers: Crank by Ellen Hopkins and My Friend Dahmer by Derf Backderf. Yes! Great suggestions…Crank certainly does fly off my shelves every year. I had to buy more copies this year. I have yet to add My Friend Dahmer, but it’s certainly on my list of books to purchase. What Does it Mean to Read like a Writer? A little bit of reflection goes a long way | Three Teachers Talk on Thinking About Next Year – Already?